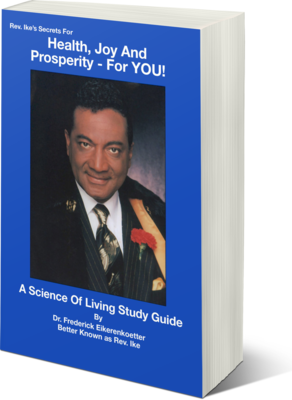 Rev Ike's Science of Living: Mind-Science techniques, self-awareness, visualization, affirmations, positive thinking. A Master of Your Life! ...good health, happiness, success, prosperity and Money? .... and IMPLANT self-esteem, success and love into your subconscious? ... because some of your old self-destructive ideas are going to get turned topsy turvy. You're going to get turned on to a whole new way of thinking! ---and MORE practical and powerful tools for using your mind-power to transform your life -- all right here on this website! 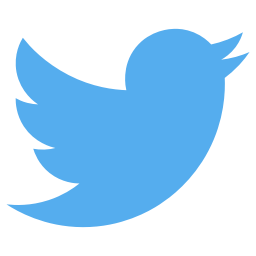 So take a few minutes to browse this site and discover what's here for YOU! First - Get your FREE BOOK! ...so I can send you Rev. Ike's eye-opening, mind-expanding, new book that teaches you how to use your mind to create the life you want! And you'll also get Rev. 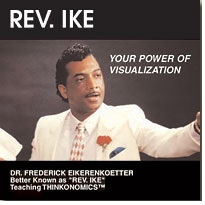 Ike's free 7-lesson e-course "Visualization - How to Make it Work for YOU", plus his Audio Visualization 'Prayer' Treatment for Abundance! ... Rev. Ike interprets the Bible SYMBOLICALLY, not literally. He considers the Bible the greatest book of Mind Science -- the greatest book of spiritual psychology -- ever written! first time in your life! You see, this website is for thinking people of ALL religions and even for those with NO religion! So look around, listen to the audio on the right of this website -- hear Rev. Ike explain Science of Living -- hear what Mark Victor Hansen has to say about how Rev. Ike's teachings turned his life around! We'll keep you posted, by email, whenever we have exciting new Free written and audio lessons and gifts for you -- and I hope you'll keep coming back here again and again! So begin right now to work with this stuff. This philosophy of Abundance will automatically draw Good Health, Joy, Love, Success and more Money to you. It's time for you to begin a new, more abundant life! FREE E-book: Learn to use your God-given Mind Power to get what you want in life! Fill in your name and email address in the boxes below to receive your gifts. 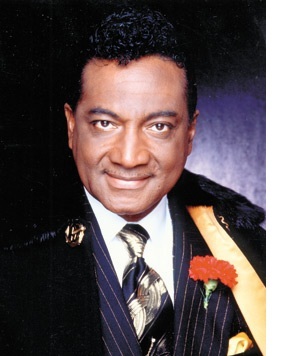 Multi-Millionaire, and Co-Author of the "Chicken Soup" books tells EVERYBODY, "I learned this from REV. IKE!" Connect with Rev. Ike on Facebook, YouTube, Instagram, and Twitter for free Videos, Audios, Affirmations, Articles, exclusive offers, and MORE! "Discover How to 'Trick' your Subconscious Mind into Getting you Everything you Want in Life -- By Using your God-Given Power of Visualization!"